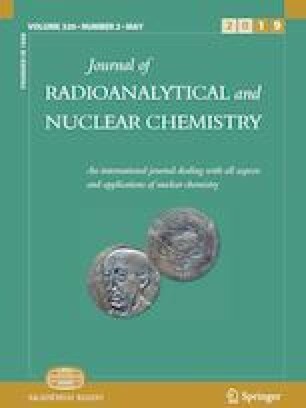 The present study was carried out along the coastal regions of Kerala, India, to evaluate the distribution of uranium, thorium and potassium concentrations in surface soil samples. A total of 92 soil samples were collected from 9 coastal districts, lying by the side of the Arabian Sea. The radium equivalent activities in the beach sands of Kollam district varies from 877 to 3715 Bq kg−1, which is higher than the reference limit of 370 Bq kg−1. Results show that the radiological parameters obtained for the beach sand from the districts of Thiruvananthapuram, Alapuzha, Eranakulam, Thrissur, Malappuram, Kozhikode, Kannur and Kasaragod are within the safe limits and hence these places can be considered as Normal Background Radiation Areas. Thus, when the high radioactive places are confined to a narrow belt in Kollam district, the other coastal areas of Kerala, especially northern and middle zones are within the safe limit with respect to radiological index. One of the authors (Ramsiya M.) acknowledges with thanks, UGC Govt. of India for MANF fellowship and for SAP facilities in the department. The technical help received from Mr. Jamshihas A P, Vishnu C V and Midhun C V are gratefully acknowledged. The funding was provided by Ministry of Minority Affairs (Grant No. 22627).